Some oilpatch CEOs are supporting a bid by Indigenous groups in Western Canada to purchase the Trans Mountain pipeline and the proposed expansion project. Indigenous leaders are in Calgary this week to find consensus on what type of ownership and management system would be ideal. 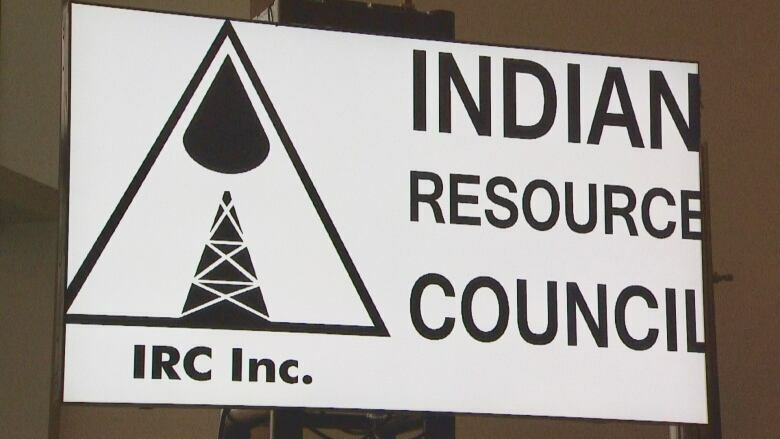 The Indian Resources Council (IRC) is behind the potential bid and said the majority of its 134 member First Nations are interested in an ownership stake. Some executives in the oil and gas industry like the idea of Indigenous people owning the pipeline, in part because it would change the perception that all First Nations oppose the project. "If First Nations, let's say, invest in Trans Mountain and took a stake, it sends a strong signal across Canada that there is another side to the story," said Brian Schmidt, president of Tamarack Valley Energy, a junior oil and gas firm. Pipelines have traditionally been a good investment, according to Christopher Slubiski, chief executive of Modern Resources. "I certainly support it," he said of Indigenous groups wanting to purchase the pipeline. "The current Trans Mountain pipeline has been shipping oil for close to 60 years. The owners benefit from that." 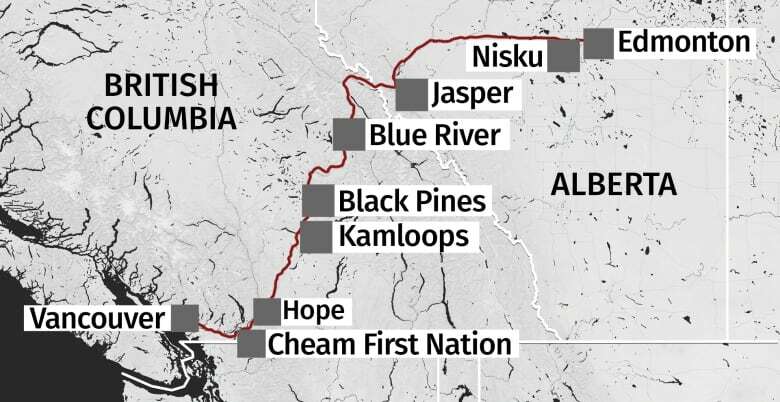 Several industry members and First Nation leaders say the best option would be to purchase the project after the Trans Mountain expansion is complete, considering the uncertainty and opposition that pipelines face. "If an investment situation is unsure, they're not going to invest," said Chief Roy Fox of the Blood Tribe in southwest Alberta. If the expansion pipeline is built, that's a different story, he said. The Blood Tribe has worked with the oilpatch for more than 70 years and also has an ownership stake in renewable energy projects. About 3,000 barrels per day of oil equivalent is produced on the First Nation. "Not once have we ever harmed any people, animals, the soil, the waters, the air," said Fox. The proposed Trans Mountain expansion pipeline would ship oilsands crude from Edmonton to the Vancouver area for export. The federal government purchased the project for $4.5 billion from Kinder Morgan Canada last summer. Construction of the proposed pipeline is currently stalled. The Federal Court of Appeal ruled in late August there needed to be more consultation with First Nations. In addition, the National Energy Board was also instructed to explore the potential environmental impacts from increased marine shipping. The Trans Mountain pipeline faces stiff opposition by Indigenous groups in the lower mainland of British Columbia. First Nation leaders have expressed concerns about climate change, the possible impact on salmon if the pipeline leaks, and possible harm to marine life from increased oil tanker traffic, among other worries. The president of the IRC said he supports the position of those B.C. First Nations who oppose the expansion project, but said there is a ripple effect because delaying the project negatively impacts many other First Nations across Western Canada who stand to gain from the pipeline. Ian Anderson, head of Trans Mountain Corp., told Indigenous leaders Wednesday there is no pipeline to buy right now because construction is halted on the expansion project. "There is no project to invest in at this point," Anderson said. "I've got to get certificates, we've got to get to work, we've got to start building this national interest pipeline and that's what we are singularly focused on — getting this project back up and running." 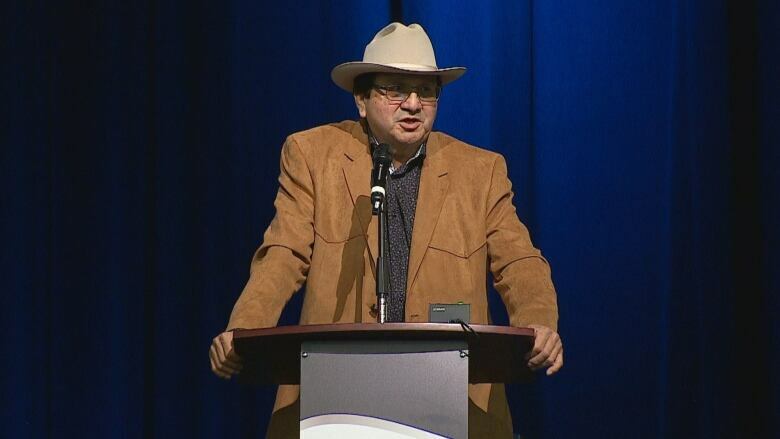 Anderson spoke at the IRC's conference at the Grey Eagle Casino and Resort on the Tsuut'ina Nation outside Calgary. Barrie Robb, the consultant who helped broker a deal for two First Nations in the oilsands region to purchase a stake in Suncor's East Tank Farm project, said ownership of Trans Mountain could make sense for Indigenous leaders. 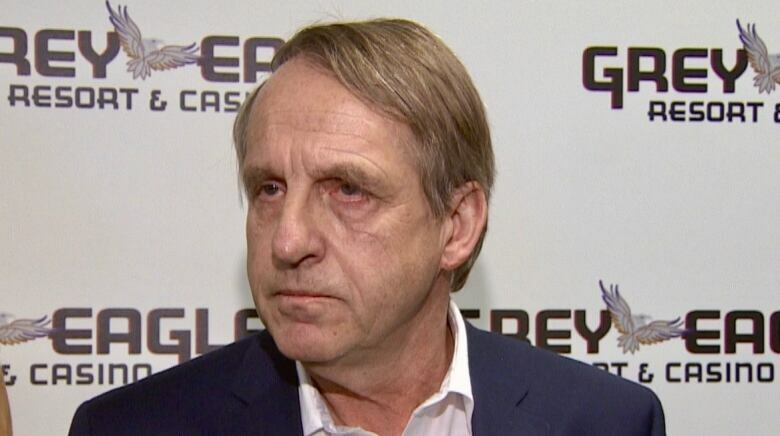 Robb said First Nations that wait for government financial help will wait a very long time. Instead, they should look to corporate Canada to improve their financial position. "I think it would be a great thing if First Nations invested in generating a revenue stream that'll stabilize their governments," he said. "If First Nations don't take control of their lives, who will?" The IRC's conference wraps up Thursday. Indigenous leaders want to present a proposal to the federal government to purchase the Trans Mountain pipeline in the spring.